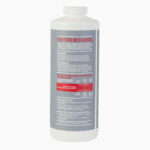 Liquid nutrient supplement for hydroponic gardens, specially formulated for growing tomatoes and vegetables. Great for growing a variety of crops including tomatoes, peppers, and cucumbers. When Root Farm Tomato & Veggie Supplement (Part 2) is combined with Root Farm Base Nutrient (Part 1), they deliver the key nutrients tomato and vegetable plants need for growth and fruit development. Specially formulated to give tomatoes an extra boost of phosphorus and potassium to encourage flowering and fruit production. Great for use with water-based systems or with soilless growing media like Root Farm Hydro Garden Potting Mix and Root Farm Hydro Garden Coco Coir Blend. 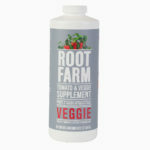 Root Farm Tomato & Veggie Supplement (Part 2) is designed to work with Root Farm Base Nutrient (Part 1). 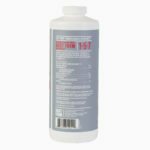 Create a nutrient solution by adding water, Root Farm Base Nutrient (Part 1) and Root Farm Tomato & Veggie Supplement (Part 2).